One of my favourite bloggers, Sarah from Endless Distances, recently wrote an article called "Why travelers need to quit the ‘once in a lifetime’ mentality" and it got me thinking about Northern Lights tourism in the Arctic. Seeing the Aurora is on everyone's bucket list and I'm being asked questions about where and when it's best to see them, on a weekly basis. The honest answer, however, is that there is no such thing as "the best place to see the Northern Lights". There are pros and cons to all the tourist hubs in the European Arctic, which I'd like to explain in this article - along with information on what else there is to do and see besides hunting the Aurora. Iceland's boom in tourism over the past years has many people led to believe that it's here where they'll see the Northern Lights for sure! With Reykjavik and the majority of the country (except for the tiny island of Grimsey) being situated south of the Arctic Circle, however, Iceland technically, isn't even part of the Arctic which makes watching the Northern Lights a bit more difficult. The general rule of thumb of hunting the Northern Lights is = the further north, the better! With Iceland being situated below the Arctic Circle, the Aurora has to be really strong (kp of 3 and higher) in order to be seen there, which just doesn't happen every day. You can learn more about the kp index here! Also, in order to see the Northern Lights, you need clear skies, but the weather in Iceland changes quickly and, as it goes for any place that's situated at the coast of the Atlantic, it generally isn't the best either. What makes Iceland worth a visit anyway? There's a ton of other places for you to explore during the day, from glaciers to waterfalls, volcanoes and geysers. Even if you don't get to see the Northern Lights in Iceland, the country won't leave you disappointed! It's the perfect stopover destination! If you're headed to Europe or North America for a vacation anyway, you might as well stop in Iceland for a couple of days and try your luck. Worst case scenario, you don't get to see the Northern Lights but can take a bunch of other amazing memories home with you. Stay for at least 4-5 nights. The longer you stay, the higher your chances are to experience a cloud-free night with high Northern Lights activity. Visit Northern Iceland, i.e. Akureyri or the Westfjords. I've heard countless of stories from people who first tried their luck of seeing the Aurora in Iceland and then head to Northern Norway as they were unsuccessful upon their first attempt. The North of the country offers dozens of places for an Aurora vacation, however, these too, come with some flaws. The weather! The major tourist hubs of Northern Norway are all situated at the storm-prone coast: the Lofoten Islands, Bodø, Tromsø, Alta... Especially during the months of the polar night between November and January, the region experiences some major (snow) storms which can potentially diminish your chances of spotting the Aurora quite significantly! What makes Northern Norway worth a visit anyway? The fjords, the mountains, the snow, the frozen lakes... You don't really need any more reasons, do you? Northern Norway has SO MUCH natural beauty to offer, especially in a place like the Lofoten Islands, that you shouldn't come here just to see the Aurora. You have your pick between a relaxing cabin holiday / a city trip with visits to great restaurants, coffee shops and museums / a skiing trip in the mountains / or even a combination of all of the above! 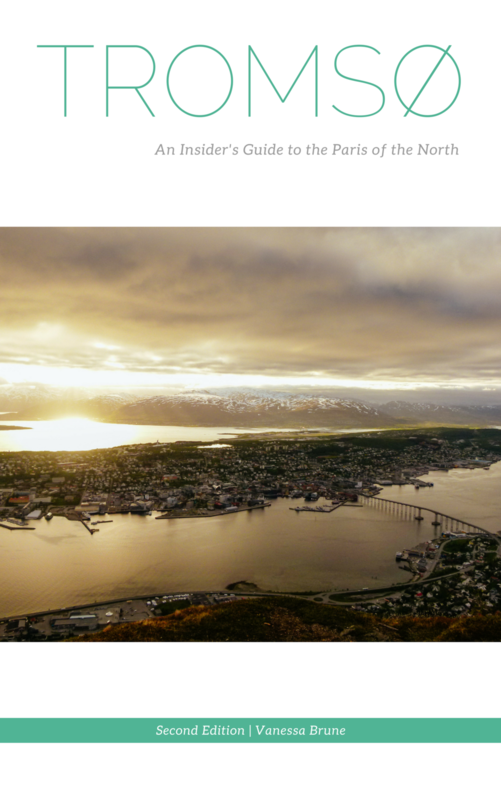 The possibilities for an unforgettable vacation in Northern Norway are endless, whether you'd like to go on a road trip in the Lofoten Islands, explore the Norwegian culinary scene in Tromsø, or head to Svalbard to experience the true North! Tweet it: Are the #NorthernLights on your bucket list? Here's a secret: There is no "best place" to see them. @snowintromso explains why! Similarly to Iceland, the further north, the better. While the Lofoten Islands and Bodø can invite to some truly amazing Northern Lights displays, your chances of seeing a really strong Aurora might be even better in Tromsø or Alta. Get away from the coast. While storms tend to hit the coastal region of Northern Norway quite often, the areas inland are usually less prone to bad weather. The Lyngen Alps near Tromsø, for instance, serve as some form of rain shadow, so that even if it might be cloudy in the city of Tromsø itself, your chances of seeing the Aurora at the Norwegian-Swedish-Finnish border, a 2-hour drive from the city, might be much better already. Head to Svalbard. Granted, you couldn't go any further north and your vacation couldn't possibly be any more expensive but Svalbard can surely be described as the place that would come closest to the best place to see the Northern Lights - if I would believe that such a place exists, which I don't. Even though the weather can be terrible in Svalbard as well, this Arctic archipelago comes with the big advantage of a true polar night - which means complete darkness during the day in winter as opposed to a couple of hours of twilight on the mainland of Northern Norway. On Svalbard, you'll be able to see the Aurora at any given time of the day (or night) as long as the sky is free of clouds. I've personally been to Swedish/Finnish Lapland 3 times without seeing any Northern Lights but I know plenty of people who have spotted them in the area successfully. Not situated at the coast, thus having much more stable weather conditions, and relatively far north, Lapland does seem like the best place to see the Aurora - or does it? It's quite a vast area! Lapland stretches from the North of Sweden to the North of Finland and there are huge differences in location and landscape, thus not every place in Lapland is equally suited well to see the Northern Lights. In particular, the hubs of Rovaniemi and Kuusamo are situated relatively far south at 65, respectively, 66 degrees North, just about on the Arctic Circle. In order to see the Aurora here, you'd need a kp index of 3 or higher - much like Iceland. It's more difficult/expensive to get to. Depending on where in Lapland you'd like to go, your transportation choices might be limited. While there are several smaller airports in the area, such as Kiruna or Ivalo, you won't find any particularly cheap fares when headed there. You'd also either need to rent a car or rely on tours to explore the area once you're there - both options potentially putting a strain on your budget. What makes Lapland worth a visit anyway? The landscapes, especially in winter, are absolutely stunning and I don't think there's a more peaceful place for a relaxing cabin holiday anywhere than Lapland. There's more to do during the day than you might think! Even though, Lapland is more known for its wilderness than for city life, you'll find plenty of things to do in the area - whether that's winter adventures such as snowmobiling or ice-fishing, or cultural activities such as visiting the coal mine in Kiruna or the Santa Claus Village in Rovaniemi. Head north. Places like Abisko/Kiruna in Swedish Lapland or the so-called regions Fell Lapland (around Kilpisjärvi) and Northern Lapland (around Inari/Utsjoki) in Finland will give you the chance to see the Aurora even if the kp index is relatively low. Personally, I'd urge you to visit the Arctic for the region itself, and not just for the Northern Lights. Believe me, I completely understand how badly you'd like to see the Aurora! However, if you base your entire trip around 1 activity that's extremely hard to predict and depends on factors that are beyond anyone's control (like the weather or solar activity), you're almost bound to oversee what else the region has to offer. After having lived in the Arctic for 3 years and having travelled in and around the region for over 4 years, I can honestly say that it baffles me how people go so far as to cancel their trip when they see that the weather forecast is bad for the duration of their stay. There are so many hidden gems waiting to be explored, in an area that is absolutely stunning and like nothing you've ever seen - don't miss out on the experience of your lifetime because you're too busy trying to cross an item off your bucket list!